Subscription boxes are a great introduction to a brand you may not have heard of, or thought about buying from. A few weeks ago I ordered the Look Incredible Deluxe box for myself (review here) and decided to look into ordering a subscription box for Indigo and Molly Mouse. 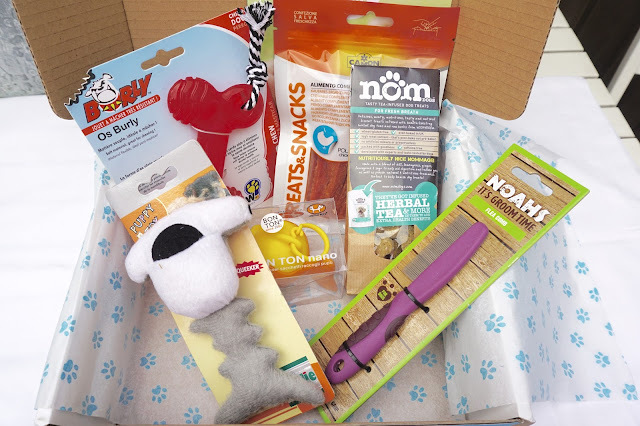 Subscription boxes for pets have really gained popularity over the past twelve months, so there were a few to choose from. I chose Pawesome Box as they promise to deliver a variety of both treats and toys for your dog, which I knew would appeal to my two. How it works. 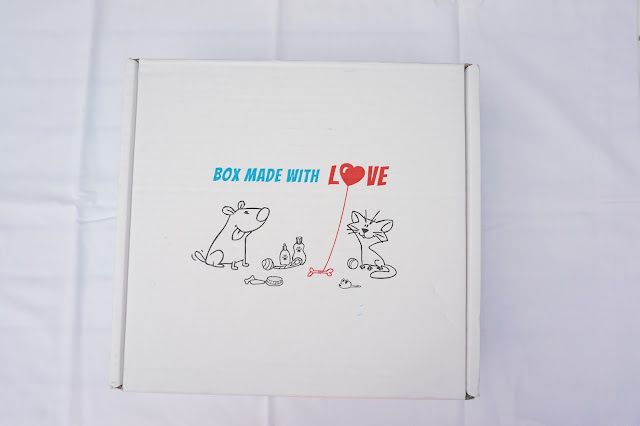 Each box is tailored towards different sized dogs, from the tiny like Molly Mouse, right up to the large. Next up is choosing the length of subscription, with the idea that the longer you subscribe for the cheaper each box gets. One month costs £19.90, whereas if you purchase twelve months you get two boxes for free. Everyone’s box is supposed to arrive on the same day to ensure nobody spills the beans and the contents remain a surprise. Camon Chicken Treats This isn’t a brand I’ve heard of before, so I’d say they did pretty well here. Indigo and Molly love these chicken jerky treats. United Pets Fish Poo Bag Dispenser As far as poo bags go, this one is pretty cool. It’s a fun design and man friendly too. Noahs Flea Comb I was disappointed with this as I think most dog owners already have a flea comb, you know ‘just in case’. Nom Fresh Breath Treats Herby dog biscuits really aren’t a hit in this household. They’re going in the bin. Shark Puppy Toy Molly is obsessed with this. It’s just the right size for her, and something she plays with everyday. I’d love to hear your thoughts on pet subscription boxes, and recommendations for the next box I should order for Indigo and Molly.